Healthcare providers suggest testing fasting glucose or fasting blood sugar (FBS) on an annual basis to detect abnormalities and diseases such as diabetes. In most cases, high blood sugar in adults remains undetected until the results are received because individuals remain asymptomatic or dismiss benign warning symptoms. But what levels are considered problematic, and what are the primary causes? According to the American Diabetes Association (ADA), in 2011 over 79 million people in America have a known diagnosis of pre-diabetes. One of the primary causes of high blood sugar in teens and adults, it is trigged by high risk factors including obesity, high blood pressure and elevated cholesterol levels. Healthcare providers are able to recognize this condition when FBS numbers are between the ranges of 100 and 125 ml/dL, indicating a glucose level that does not yet indicate the onset of type 2 diabetes. At this stage, high blood sugar can be controlled with diet, exercise and medication – with the primary goal being diabetes prevention. 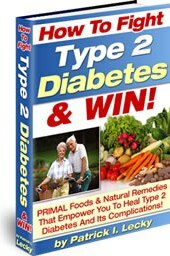 In some cases, pre-diabetes will progress into adult onset or type 2 diabetes. This can occur even when preventative measures have been taken, and individuals have tried to regulate their glucose levels with a prescribed regimen. A fasting blood sugar above 125 ml/dL indicates the presence of this disease, which requires immediate attention by a physician. In most cases, this condition is caused by genetic predisposition, obesity, poor diet and inactivity. Once diagnosed, this disease will require routine monitoring of high blood sugar levels which are most likely to occur in the early mornings, before bedtime, after meals and after snacks. Unlike other causes of high blood sugar, this disorder is a form of diabetes that is detected during the 24th week of pregnancy through the use of an oral glucose tolerance test (OGTT). Once detected, healthcare providers recommend expectant mothers follow a balanced diet that includes frequent meals and mild to moderate levels of exercise. Few cases require insulin injections to regulate sugar levels after meals and snacks. Even though increased levels of sugar are experienced during this time, there is limited risk to the mother and child – and this type of diabetes will disappear after the baby is delivered. Unmanaged type 1 diabetes (less common in type 2) can cause high blood sugar in adults, leading to a life-threatening condition called ketoacidosis. This condition causes an individuals body to fall into starvation mode, causing increased thirst, urination and dehydration. If left untreated, there is a risk of coma and death. In most cases, high blood sugar levels in adults are caused by the onset of diabetes, but it can also be seen in uncontrolled diabetics as well. Individuals should consider this diagnosis a warning sign, and take steps to manage the condition with the assistance of a qualified healthcare provider. « What Are The Features Of Diabetic Slippers… And What Are Diabetic Slippers Anyway?